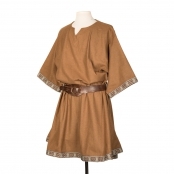 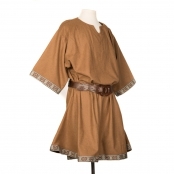 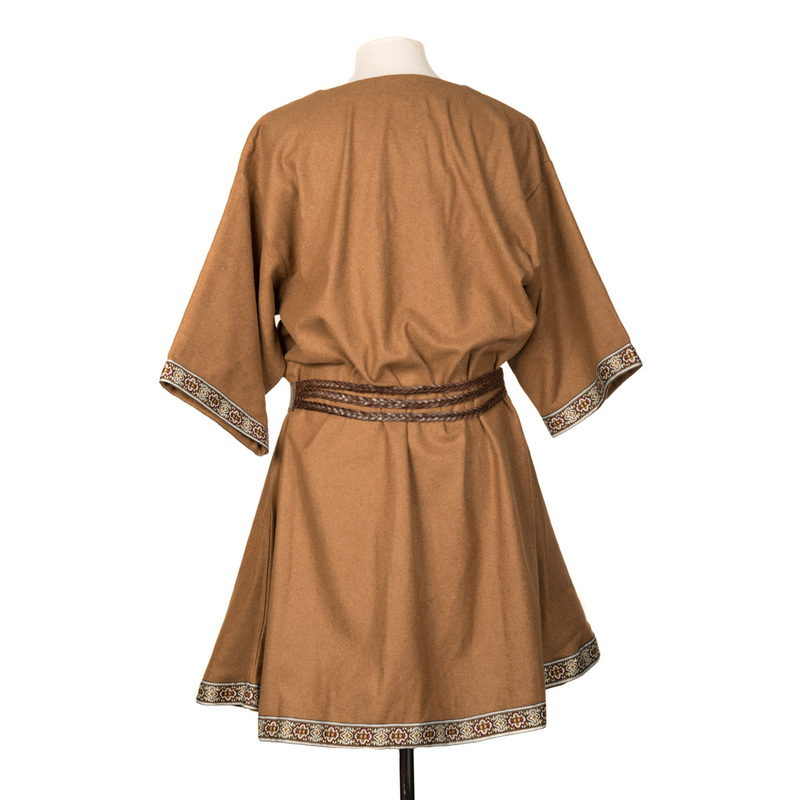 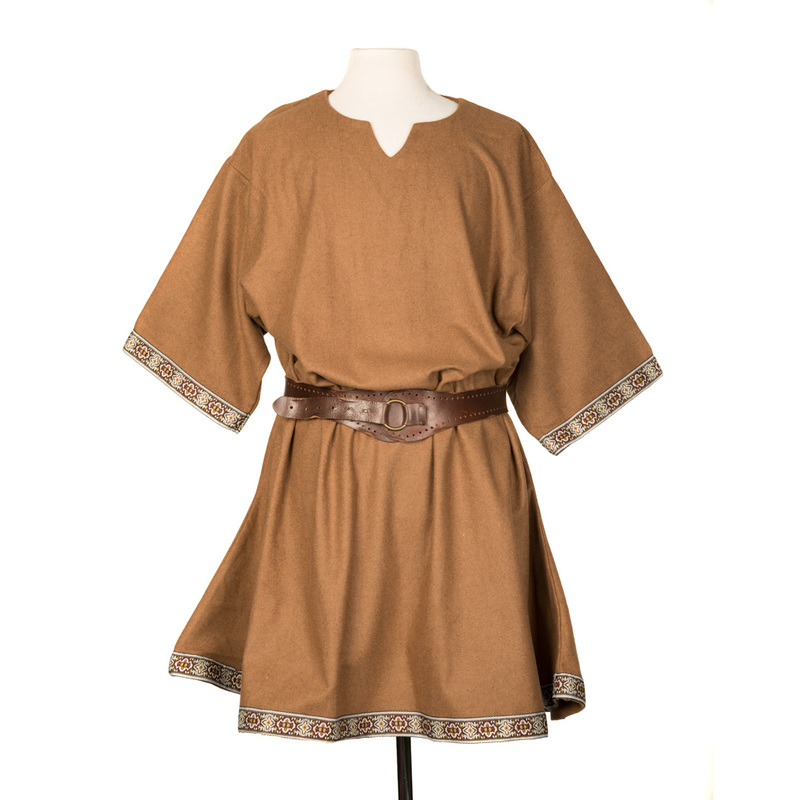 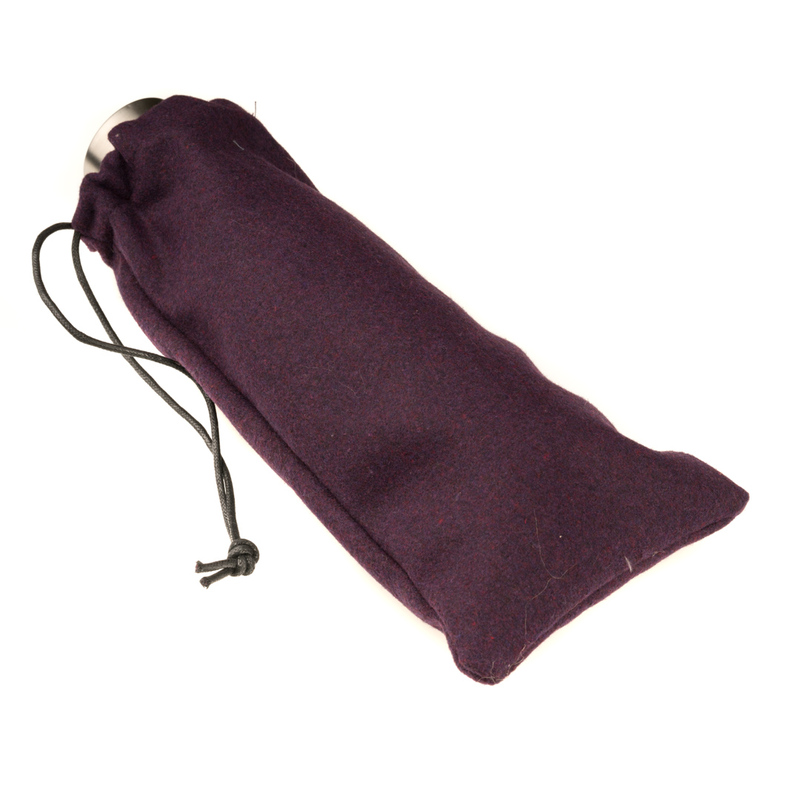 This is a Luxurious Viking-Medieval-style tunic in mid-weight wool. 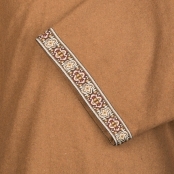 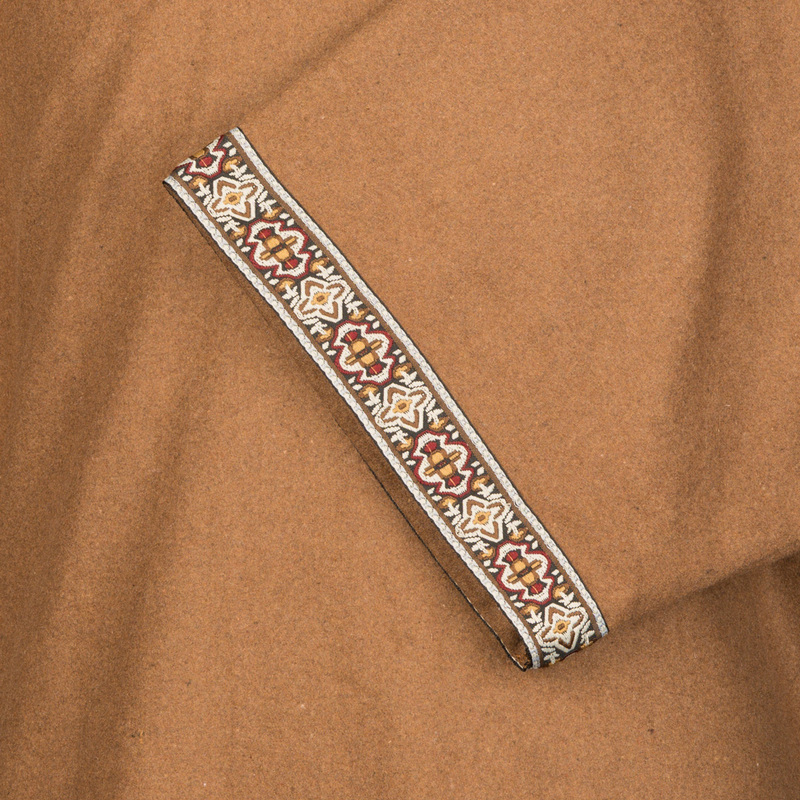 It has a slight flare towards the hem and is finished with a detailed richly crafted braiding. 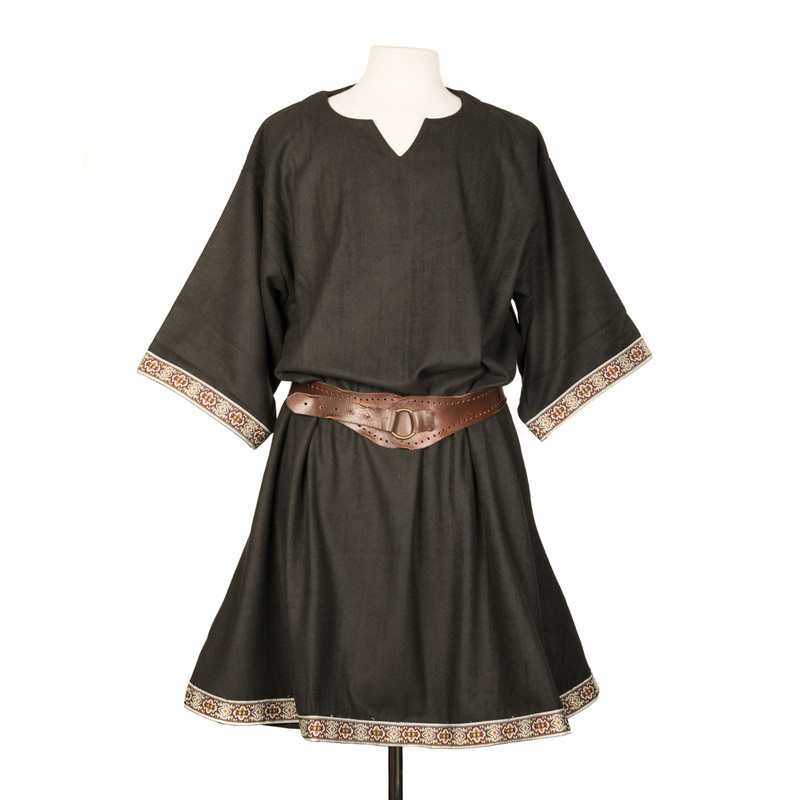 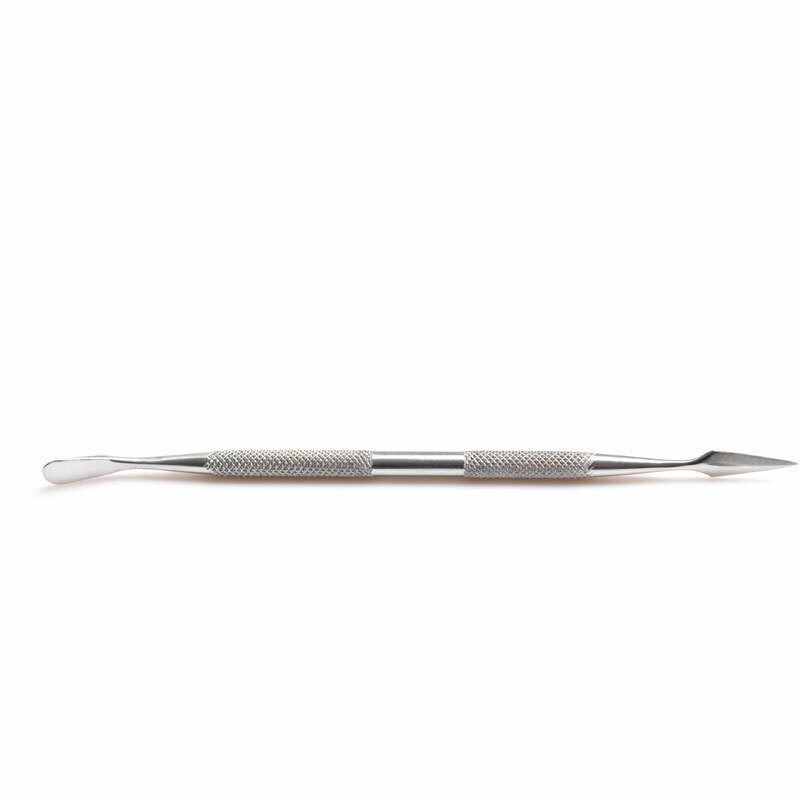 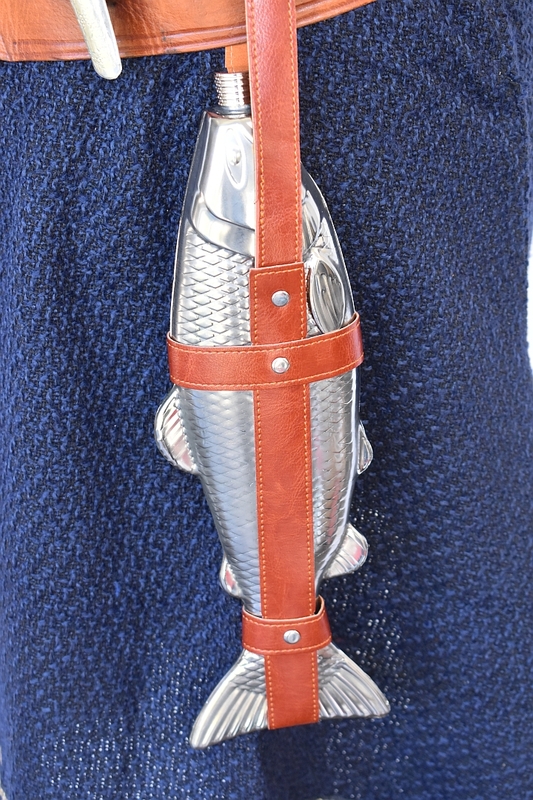 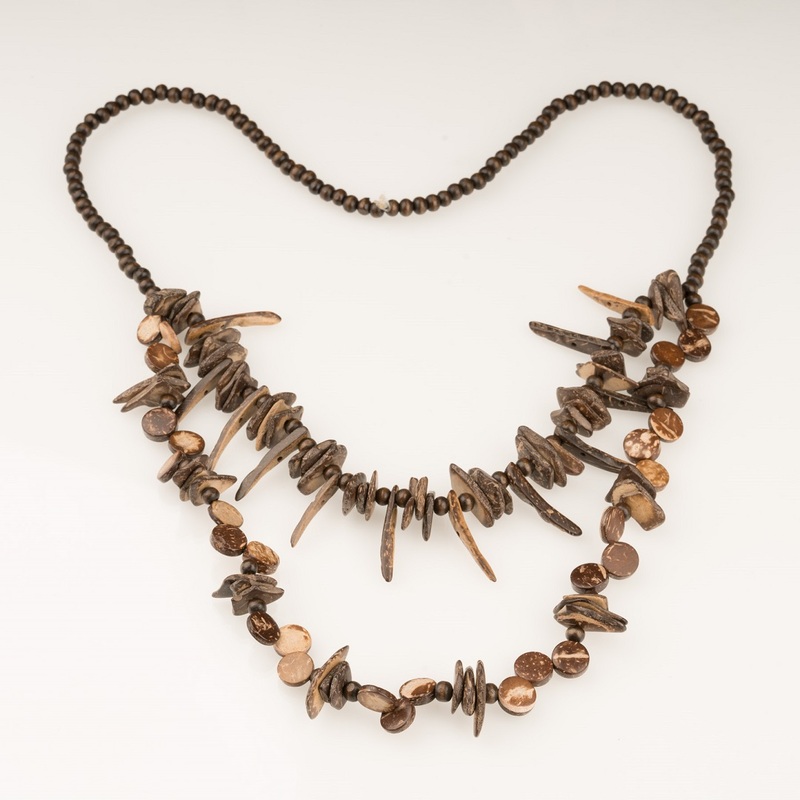 Striking on its own and comfortable to wear with armour and other layers. 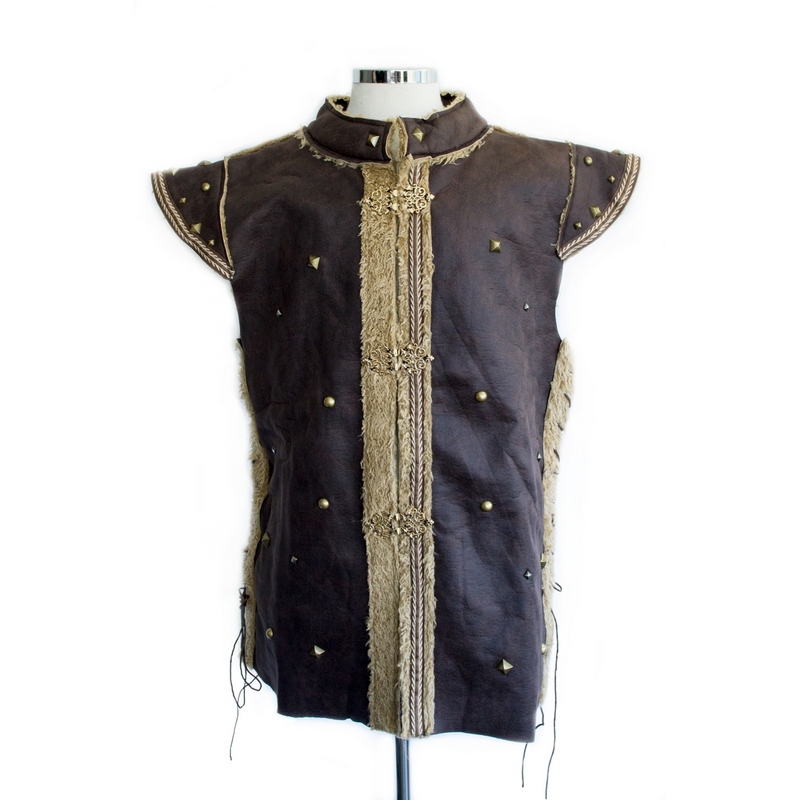 It would look sensational in any Historical or Fantasy setting.